Facebook has released the first big update to its Slingshot photo messaging app, which launched last month. Now, you’ll be able to reply to friends’ reactions to your photos and videos with a reaction of your own. Similar to Snapchat, Slingshot allows you to draw on photos and add text. The app differs, however, by requiring friends to send a photo back to see your own content and by letting friends send quick reactions to your photo. 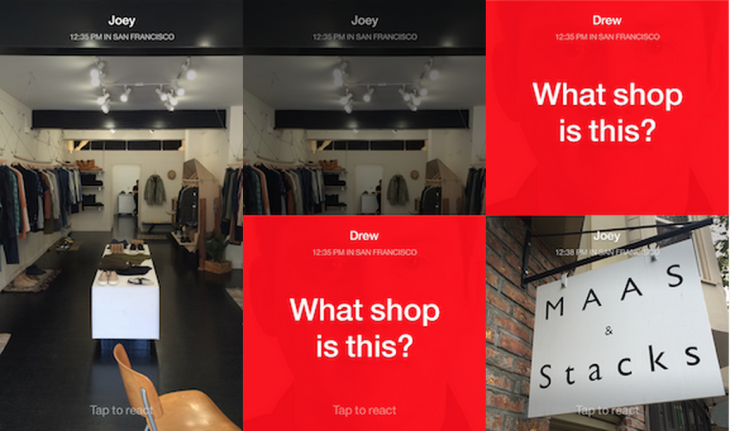 Now that you can react to reactions, you can start an infinite selfie loop with your friends. Facebook has also added a My People tab to Slingshot to make it easier to see who you’re messaging with. The find friends and contacts feature has also been improved. So far we’re only seeing the update on iOS, but the Android version will presumably get the new features soon too.